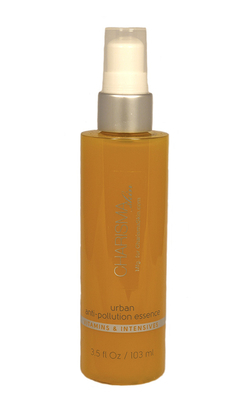 This first-of-its-kind skin treatment bathes skin in refreshing hydration while delivering the highest concentration of anti-pollution ingredients, including a unique macroalgae which helps fight effects of air pollution and a marigold derived, lutein-rich isolate that helps filter exposure from blue light-emitting electronic devices. After application of this water-like essence, the skin is ready to welcome all subsequent serums and creams. The effect is visibly rejuvenated and more radiant skin. Suitable for all skin types. 3.5oz. pump bottle.